You can tailor your Custom Portrait Session package to fit your needs and budget. 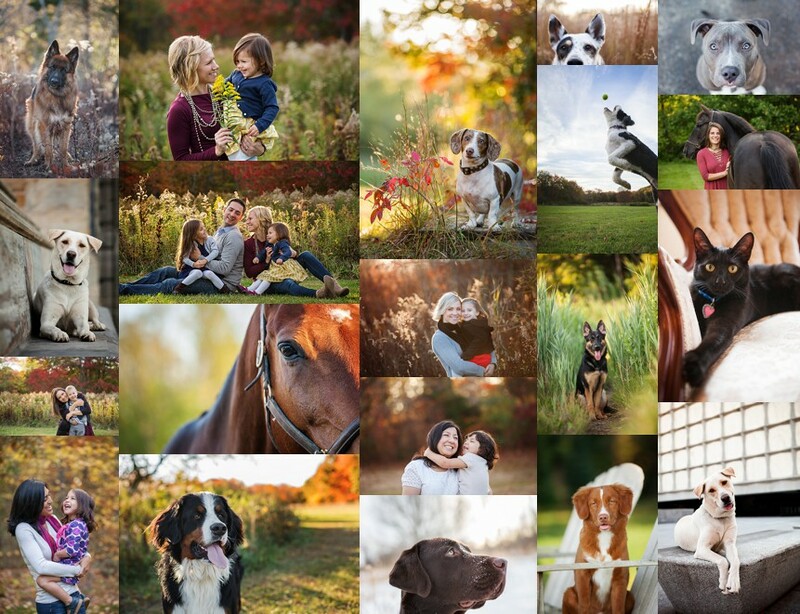 These sessions can be booked year round for dogs, families, cats, and horses. You will be so happy that you captured your family, including the furry members, in such a beautiful way. These images will be tailored to your family’s personality, and really represent who your loved ones are. If you want to see some examples from recent Portrait Sessions, check out my portfolio page. With each Custom Portrait Session, we will choose a location that is perfect for you. For Horse and Cat Sessions I typically come to you, and for Family and Dog Sessions we head to a local park. If you have a water dog or a sand loving family, we will go the beach. If you feel most at home out on the trails, we will go for a hike. Every session is different, and every session is fun!